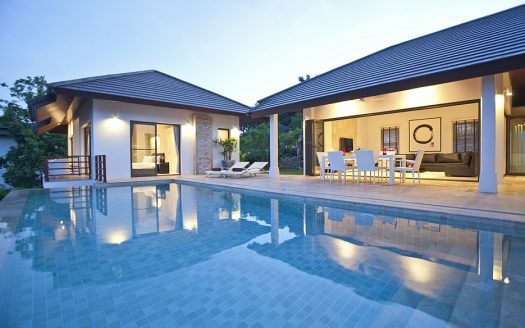 If you’re looking for a quick, easy, and stress-free way to rent villas on Koh Samui – you’ve come to the right place. We have access to over 300 villas and apartments. Some of them we own ourselves, for others we know the owners first hand and have long standing relationships with them. 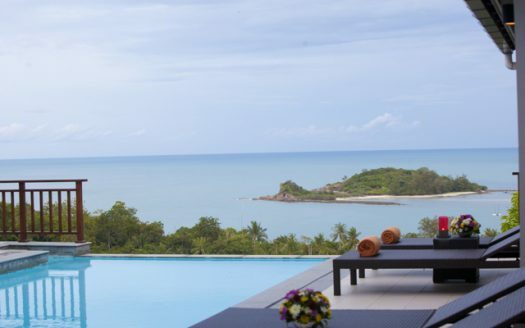 All of our Samui villas have been thoroughly vetted by our team to ensure they are exactly as described. With us it’s not just about making a booking. We take care of you from the moment you land on the island to the moment we say good bye to each other. That includes pickup from the airport, 24/7 availability (should you need it), booking cars, motorbikes, chefs, attractions etc. We’re local – we’ve done all the research so you can simply enjoy your time on this beautiful island. If the amount of properties available on our site seems overwhelming, please contact us directly and tell us your requirements. We will get back to you with propositions. 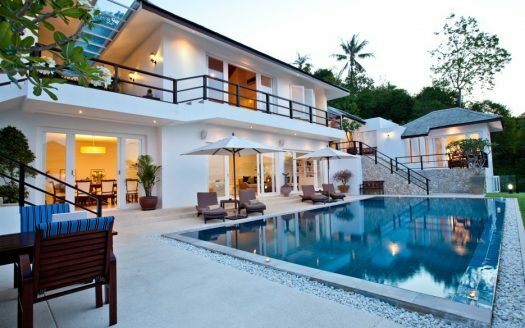 Our Koh Samui real estate and property management company has been created after facing problems with booking a villa for ourselves. We found it was difficult to find suitable accommodation, that some people did not reply to emails, or were simply unreliable, and it was next to impossible to make a reservation. 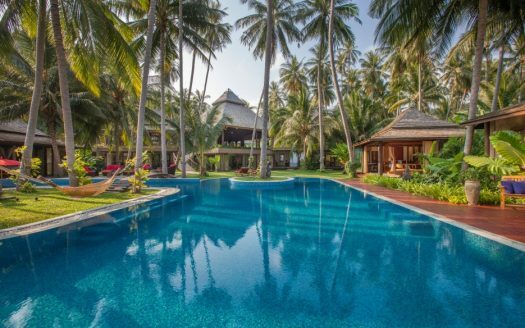 We’ve addressed those issues by creating YourKohSamuiVillas.com, a company that takes care of everything so that you can enjoy the luxury vacation you deserve. We cover all possible locations on the island and can find a luxury villa rental suitable for any amount of people. 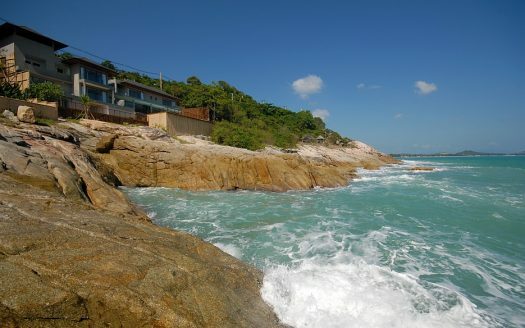 Samui has quickly become one of the most popular gateways in Asia. The island, although not big in size, has everything you could dream of. Starting from perfect weather, which is not too hot and never cold, to stunning beaches, to all the western amenities you may require. It also has a vast amount of restaurants with the best chefs from all around the world. There are also completely remote places surrounded by nothing else but nature. If you’re looking for great nightlife – it’s also here with various parties taking place daily. All of this combined makes a perfect destination for holiday, and also is the reason why people choose to live here long term. It’s simply a combination of local flavours, tropical nature, and western standards and amenities. We’re here to make sure your stay is as enjoyable as possible, providing you with best accommodation choices as well as information on how to enjoy the island to the fullest. 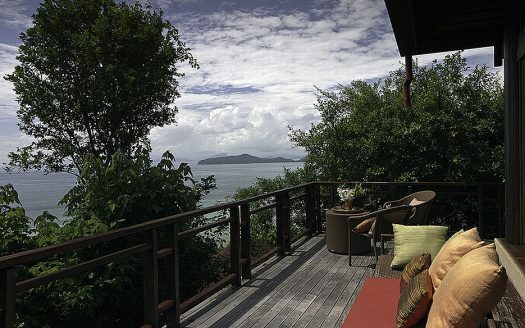 What can our team at YourKohSamuiVillas.com do for you? 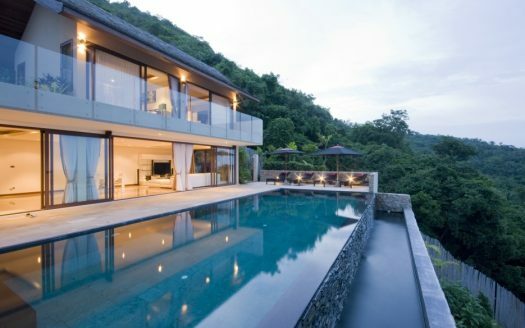 We can help you find villas that perfectly match your requirements, or help you with any property related needs. We will book everything for you and make sure it’s available when you arrive. When you arrive we will offer you a warm greeting at the airport and drive you comfortably to wherever you’ll be staying. Need more? We will help you rent a car, book tours around the island, recommend restaurants, and do anything else you might need to make your stay perfect. Don’t hesitate reach out to us via our website – click here to contact us. What types of properties can I find here? We can offer you a huge range of choices. Starting from beachfront houses located just next to the water on the glorious sandy beaches, to properties located on highest hilltops with extraordinary views all around. You can also request to get a house close to town and city attractions, or in absolutely remote places surrounded by nature and jungle. The choice is always yours! 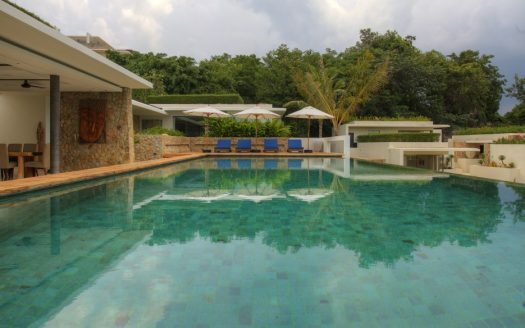 All villas in Koh Samui offered on our site are always carefully inspected by our staff. Lucky for you we have already done all the difficult work, so all you need to do is contact us and tell us how we can help. After we receive your information we will begin the search and get back to you with our findings. Our strength lies in the strong relationships we’ve developed with local owners, therefore guaranteeing you the best choices and prices. Alternatively you can pick the one you like yourself using our site. $ 950 / day min. $ 3,500 / day min. $ 355 / day min. $ 6,400 / day min. $ 425 / day min. $ 550 / day min. We will check everything for you, including dates, availability, and the accommodation itself. You should hear from us within 24 hours from your first email. 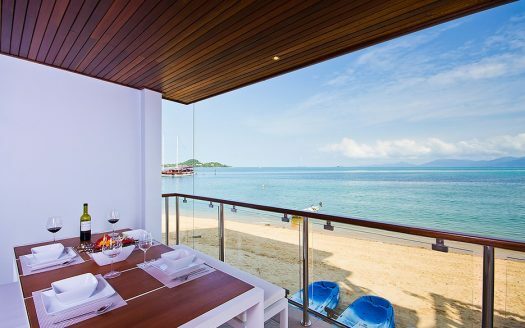 Ko Samui is a beautiful place located in the Gulf of Thailand and is the second largest island in Thailand. The place is very colourful with palm fringed beaches, hills, rain forest, coconut groves, etc. For the tourists, it is one of the best holiday destinations. 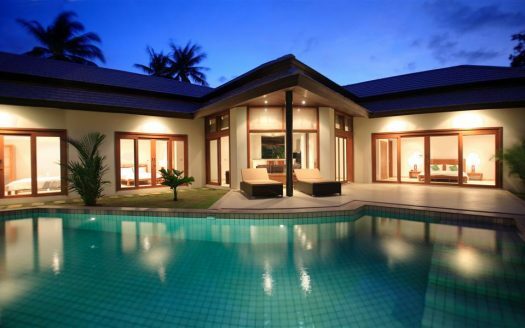 Enjoying Samui is possible for almost everyone because there are lots of luxury villas and bungalows available. 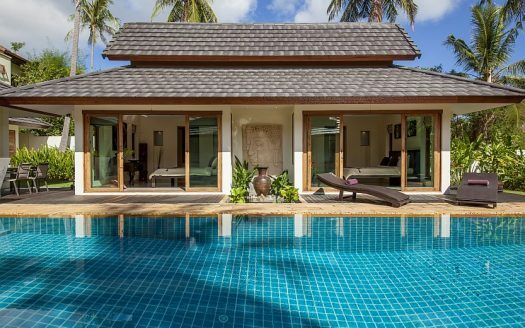 If you are visiting Samui, villas are often the best option to choose because you can stay in a luxurious house at affordable prices compared to the level of service and quality you’re receiving. 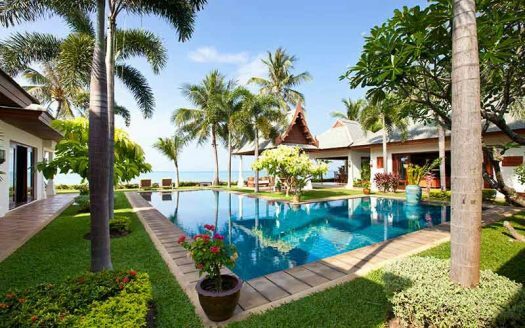 Most of Koh Samui villas are either facing the beach or the hills so that your eyes will never get tired of amazing sights. You can check reviews of various properties online before choosing one that suits your needs. You have choice between the short term rentals listed on our site or if you’re planning to stay longer we can find you a long term rental. 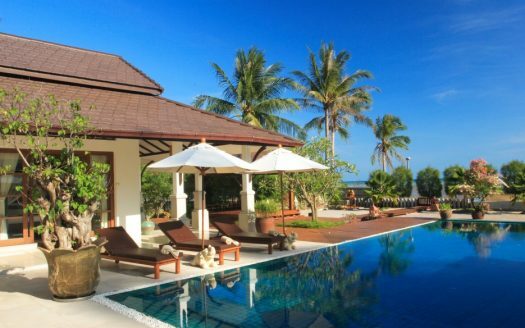 There are many popular choices such as the Samui Blue which is an affordable private villa for staying on Ko Samui. It has a stylish ambience, and the rooms are spacious also. There is also a large boomerang shaped pool. All rooms are facing towards the pool and a picturesque garden. You can enjoy an excellent view of sandy beach from balcony of your bedroom. Samui Blue will also allow you to take your pet with you. 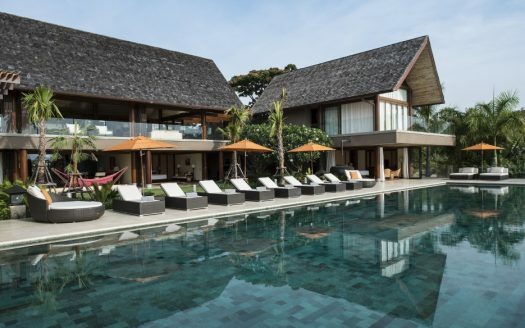 Ban Rattana is another recommended villa where many choose to enjoy a luxury holiday. 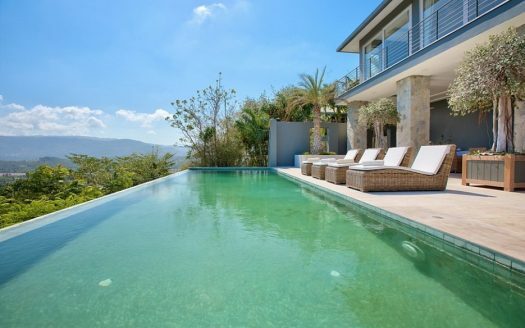 The property consists of 3 bedrooms which are facing a large pool and an exotic garden. 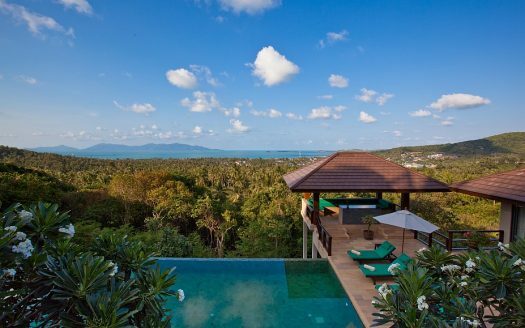 Some of the best hill views are offered by this Ko Samui villa. The accessibility to the shops, bars, restaurants and other places are making Ban Rattana a favourite option for tourists. 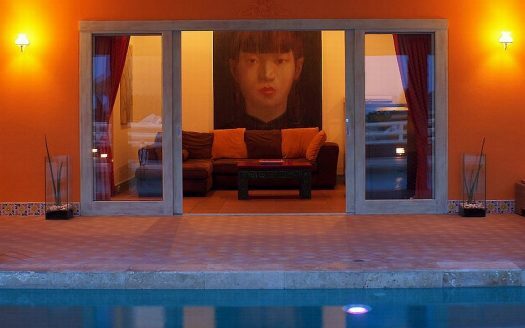 Adam Villa is another place where you can count on all the luxuries and relaxation. The villa consists of three comfortable and spacious bedrooms with well-maintained bathrooms. Moreover, there is a stunning view of beautiful ocean from all rooms. The master bedroom is air conditioned and occupied with separate wardrobes. There is a private terrace which is facing the ocean; enjoy the mind-blowing sunrise and sunset from the balcony of your bedroom. Even the bathroom windows are facing the beautiful and well-maintained garden. You will get all the facilities of a home, and you will never feel like you are staying in a hotel. You will also get a fully functioning kitchen with household equipment. White Sunset is another great property which provides all the facilities of a luxury villa. Downstairs, there is a well maintained and fully equipped kitchen, dining area, and lounge. From the second floor, you will have a fantastic view off Buddha statue and the beach. There is a dining area outside to enjoy your food by sitting in the beautiful garden. 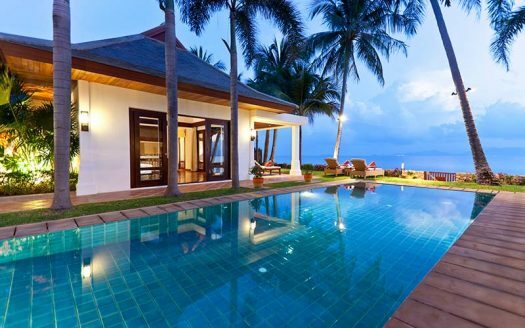 Baan Tai Tara 1 is a beautiful villa at very affordable price. It is located in the center of fisherman’s village. There are lots of shops, restaurants, and bars nearby which will be helpful for you. It is a fully furnished; expect the high-quality service from the owners and staffs. The master bedroom door is opening to the pool and a nice garden. 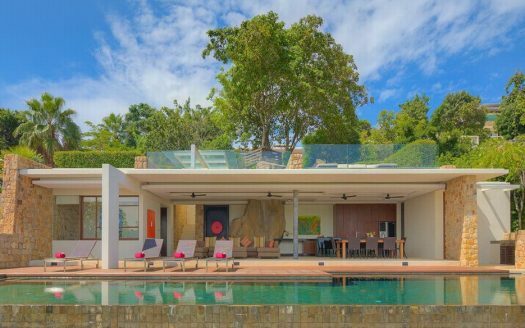 Villa Camille is a posh villa with four large bedrooms. It consists of the main villa and two guest villas, which are separated by a specious courtyard. The yard includes a flower garden, a barbecue area, and water fountains. The villa will give you a perfect sunset views. You can enjoy the large private pool on the terrace. 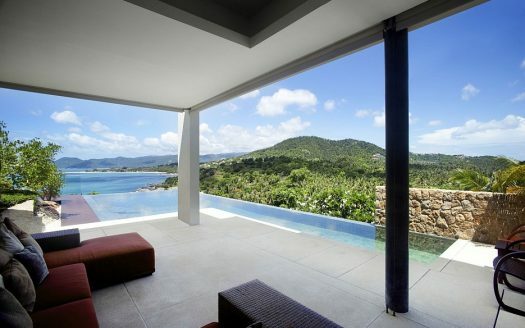 The property will offer you a panoramic view of the sea and the beach. At Indu beach, you don’t need to worry about any of your personal needs like shopping, cooking, massaging, etc. The house owner will take care of all your needs so that you are able to relax and enjoy your holidays. The main attractions are the sunset view, privacy and also the romantic rooms with private terraces and pools. 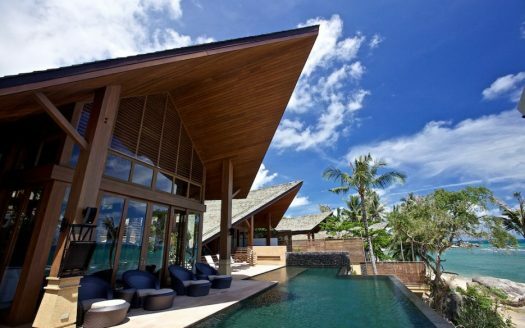 There are a lot of luxury private villas are available on the island. Please feel free to choose one using our site. 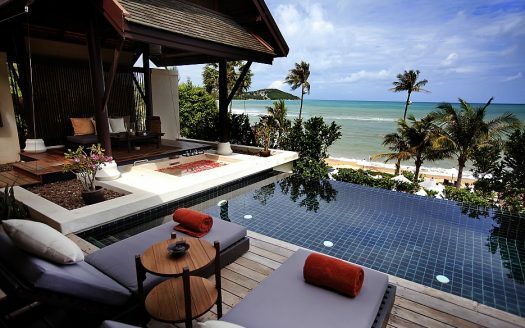 Or reach out to us so we can help you with finding the best Koh Samui villa rentals.